This comprehensive lab companion provides enough theory to help students understand how and why an operation works, but emphasizes the practical aspects of an operation to help them perform the operation successfully in the lab. The new 4th editioncontains a new introductory section, "Chemistry and the Environment," which includes a discussion of the principles of green chemistry. 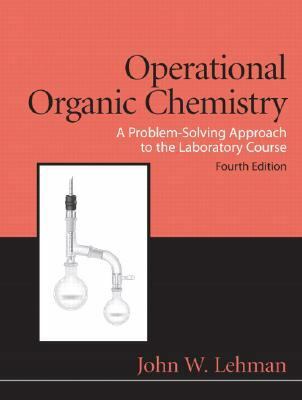 Several green experiments have been added, and some experiments from the previous editions have been revised to make them greener.John W. Lehman is the author of 'Operational Organic Chemistry (4th Edition)', published 2008 under ISBN 9780136000921 and ISBN 0136000924. Loading marketplace prices 35 copies from $50.71 How does the rental process work?